There’s no shortage of hotels in London, all shapes, all sizes – usually fairly expensive compared to most European cities. But then this is London and London dances to the beat of it’s own drum. We were driving down, boot crammed with suits and outfits ready for another family weekend wedding extravaganza and my dear mother had organised for us all to stay at a hotel not far from the party shenanigans – so we were close enough to be with family but at least we had somewhere peaceful to retire at the end of the day. 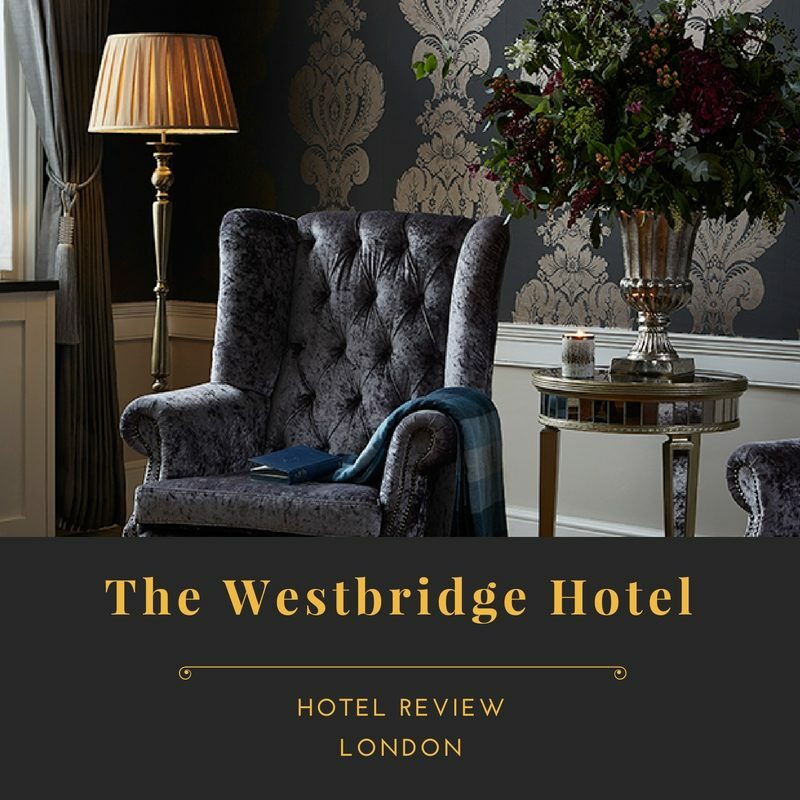 The Westbridge Hotel is a beautifully decorated (and fragranced) boutique hotel in the heart of East London. About a 10-15 minute walk from the Westfield Stratford shopping mall, the ArcelorMittal Orbit and West Ham Football Club, the hotel is well located (especially handy for anyone needing to visit ExCel London). The investment in East London around the time of the London Olympics has reaped dividends. The place is absolutely unrecognisable from when we used to visit family a few years ago. East London finally feels like a real part of this great City and deservedly so. We arrived late in the night for a 2-night stay and even after midnight were greeted by the loveliest staff. The polite and friendly nature of all of the staff is one of the standout features of this place. Whilst the hotel front faces out onto a relatively busy road, once you’re in there, you’ll find yourself in the most tranquil of spaces. Within seconds you forget about, and in fact cannot even hear the traffic. Pretty rare for a London hotel. My family and I occupied 3 of the 4 suite rooms in what seemed like a private floor of the hotel. (A treat from my Mum – as Mo and I have never even stayed in a suite before). All 3 rooms were decorated to a high standard, befitting of the monarchs they were named after. 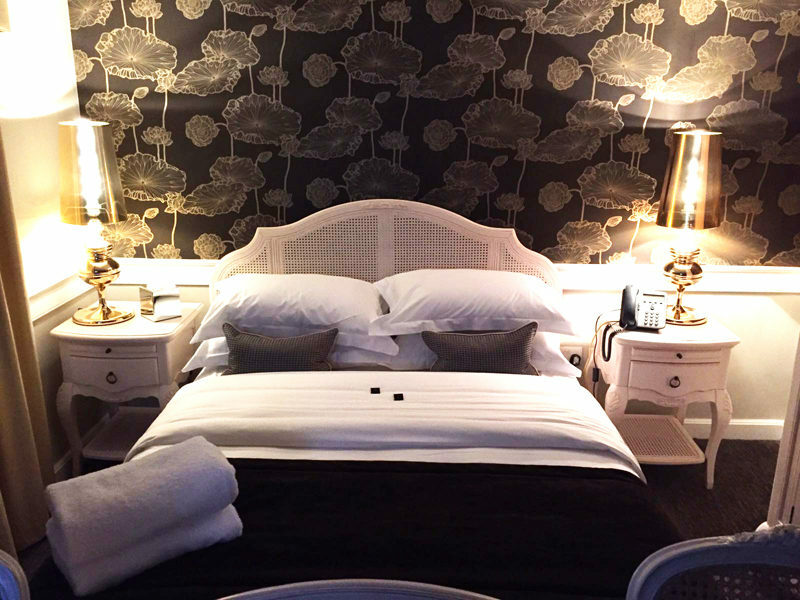 Large beds, gorgeous, cosy sitting areas and of course, all en suite. You’ve got your usual kit too – free super fast wifi, hairdryer, mini fridge, tea and coffee facilities etc. Apologies for the bad quality and severe lack of photos. With so much to remember for the wedding and as we had arrived so late at night, I had first of all left my camera at home and second, was way too tired to do anything but sleep that night! The beds are sumptuous and we simply melted into them after the long, hectic days at the wedding parties. Everything here is efficient but uber-comfortable. Even the carpet was warm and fluffy. The bathrooms are again of a very high spec, luxury amenities were provided (and smelt divine) but the space is slightly on the smaller side. Not that this was an issue as for a city break, all you’re looking for is a quick shower before you head out for a full day in the city. But each suite’s bathroom was slightly different from the other so it’s something you can clarify at the time of booking. The buffet breakfast was pretty impressive too, the perfect way to fuel up before you head out. There’s large selection of pastries and breads, eggs, hot and cold meats and fruit as well as hot and cold drinks. And the extra bonus for us, everything is halal – including the sausages and rashers. The smile on my family’s face could not have been any bigger. Weather dependent, there is also a lovely outdoor courtyard with comfortable rattan style furniture where you can take your breakfast or coffee. Luckily for us, the weather was pretty good all weekend so we had breakfast outside on our last morning. The hotel was pretty busy which is clearly a good sign of the standards they provide. But everything about this place really made us feel as though we were staying in a home away from home. Would we stay here again? You bet we would! Have you been to East London recently? Stay anywhere great or do you prefer to stay closer to the city?